Allergan plc (NYSE: AGN) was in for a disappointment with its investigational depression drug candidate Rapastinel, one day after Johnson & Johnson (NYSE: JNJ) secured FDA approval for its treatment-resistant depression drug esketamine. Wells Fargo Securities analyst David Maris maintained an Outperform rating on Allergan and lowered the price target from $202 to $189. Raymond James analyst Elliot Wilbur maintained an Outperform rating for the shares. Rapastinel failing to meet the primary or key secondary endpoints in three pivotal studies evaluating it as an adjunctive treatment for major depressive disorder, or MDD, Maris said in a Thursday note. An interim analysis showed that the asset will not meet primary and key secondary endpoints in a relapse prevention study, he said, and these two factors together mean the pipeline candidate should be taken completely out of expectations. 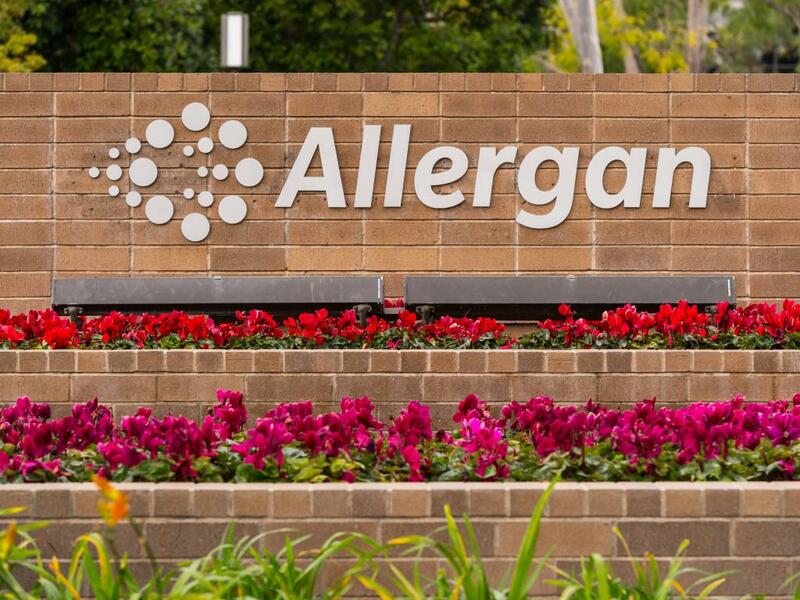 Although not devastating news, the analyst sees it as a definitive negative, as Allergan loses a "longer-term growth driver and a high-profile pipeline hopeful." The setback could drive Allergan toward other potential strategic options for building the pipeline and creating value, Maris said. Allergan's open science model doesn't seem to be yielding the desired results yet — especially in the one-, two- and five-year periods — given the underperformance of the shares in the year-to-date period and the misses outnumbering the hits with respect to data releases. "As such, investor frustration is high, so changing the narrative is probably a high priority in order for the stock to perform well." External expectations around Rapastinel were relatively low and were always of a "show-me" nature, Wilbur said in a Thursday note. 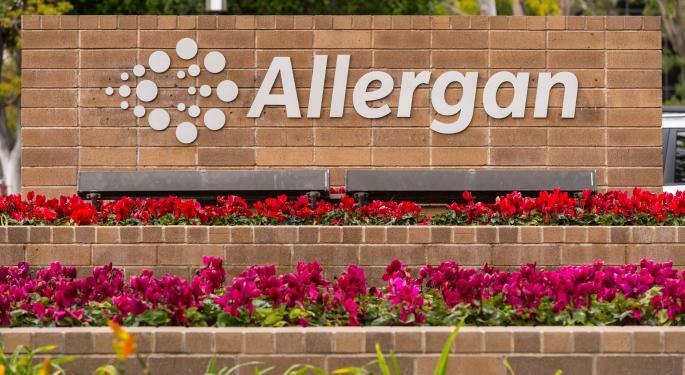 That said, a positive outcome could have helped increase confidence in Allergan's pipeline program, especially after its uterine fibroid treatment candidate Esmya faced setbacks in 2018, the analyst said. Wilbur sees the development as having a negative read-through into other ongoing Rapastinel programs such as the monotherapy MDD program and suicidality in MDD. The company indicated it expects to make a decision on these programs throughout 2019, the analyst said. A NDA filing for acute migraine treatment candidate Ubrogepant in the first quarter. The initiation of a Phase 3 study for Atogepant in chronic migraine in the first half. A PDUFA date for bipolar depression drug Cariprazine in May. A regulatory submission for Abicipar in age-related macular degeneration in the first half. The initiation of a Phase 3 study for Abicipar in dry macular edema in 2019. Allergan shares were trading up 3.66 percent at $142.49 at the time of publication Thursday.